This page introduces how a novice can create professional genograms in no time. Use Edraw genogram software to create progessional and complete genograms with abundant built-in vector symbols and free templates. Wikipedia defines genogram as a pictorial display of a person's family relationships an medical history. It is also named a McGoldrick–Gerson study, a Lapidus schematic or a family diagram. Different from a traditional family tree, a genogram allows the user to visualize hereditary patterns and psychological factors that punctuate relationships. Namely, a genogram goes deeper in revealing family information among all individuals. 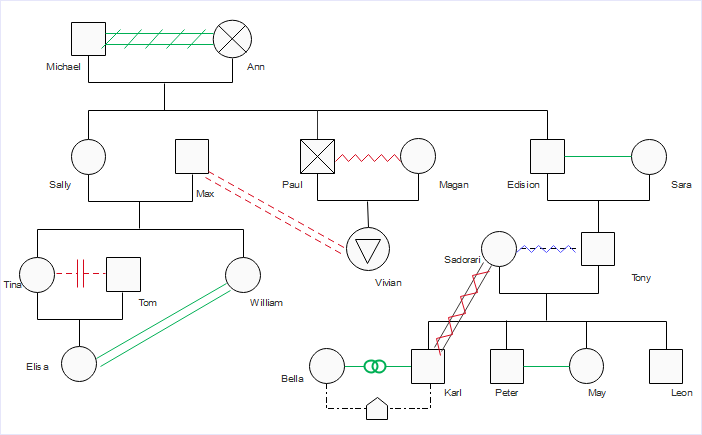 Using the genogram example below, the genogram could reveal Michael's close friendship with Ann, Paul's hostile against Magan, Max's conflictual relationship with Vivian, Edison and Sara's harmony. The genogram also shows that Vivian is lesbian and Karl has an affair with Bella. Family therapists use genograms as a tool to figure family relations, giving a whole picture of family relationships and patterns. Knowing the family relationships clearly, the therapist gets to analyze the family and help them deal with their current issues. Genograms may help a husband and wife understand each other's learned patterns for responding to stressful situations, handling intimacy or conflict, or managing gender and cultural issues. This can contribute to a harmonious relationship. Medical professionals often use genograms to better understand their patients' medical, genetic and psychosocial history. In this case, they are able to give a more convincing diagnosis and offer appropriate treatment. Besides, anyone who is interested in better understanding family patterns and issues may use genograms ad an aid. Before starting genogram design, I recommend you some genogram examples to gain inspirations. To ensure the genogram creation won't cause offenses, bear the following cautions in mind. Be careful with family members' perceptions and sensitive information. Understand that there may be variations in stories and beliefs among different family members regarding certain issues. Use your observations and objective judgements if necessary. Make use of clip arts, images and pictures as well as letters. If you need to interview someone for his information to create a genogram, treat that person and his/her family information with complete confidentiality. Use standard genograms properly, including basic genogram symbols, medical symbols, family and emotional relationship symbols. The following are instructions on how to make professional genograms with Edraw Genogram Software. Collecting information of a family should be the start of your creation as background work. First, decide how many generations you wish to display on your genogram. Next, look at a family meets your demand generations to gather all the names, birthdates and basic relations. You may interview some family members for family stories to fill in missing information and complicated relations. Keep the work done confidentially! There are two methods of creating a genogram: drawing and using a computer software. A digital genogram is much more convenient for storing and future editing. 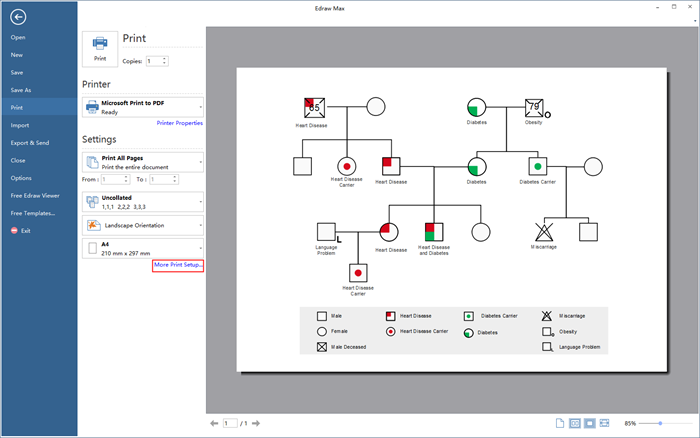 Navigate Edraw Genogram software, click on New →Organizational Chart → Family Tree, then choose a pre-made genogram example or the blank canvas. Set the layout of your genogram and measure the size by using rulers, gridlines and guidelines. You need to drag the layout gridlines to set the margins of the page or divide the page into sections for accurate placement of texts and images. Go to Page Layout tab, adjust the overall page setup, theme and background to choose a predifined layout. If necessary, you may use gridline and rulers in View tab to set the margins of the page or divide the page into sections for accurate placement of elements and texts. Go to "Home" tab and click "Text" to use the text block tool. Input your content in the text block. Customize the attributes of your text in Font panel under Home tab. Edraw genogram software offers many standard vector genorgram symbols that depict basic information, family relationship, emotional relationship and medical facts of family members. 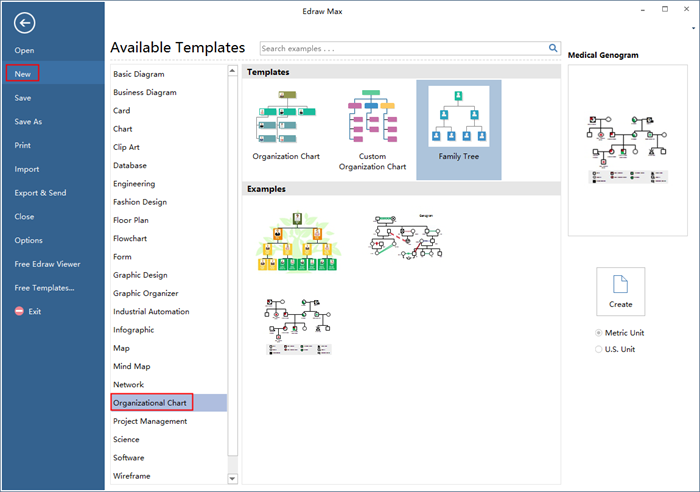 Open the symbols library of Genogram from the left of the UI. Drag-and-drop the selected symbol to the canvas. When you've finished the genogram, you can save and export it to various formats such as JPG, PDF, MS Office files , SVG and Visio etc. Edraw genogram software supports cloud storage. You can access your design and collaborate with partners whenever and wherever you need. 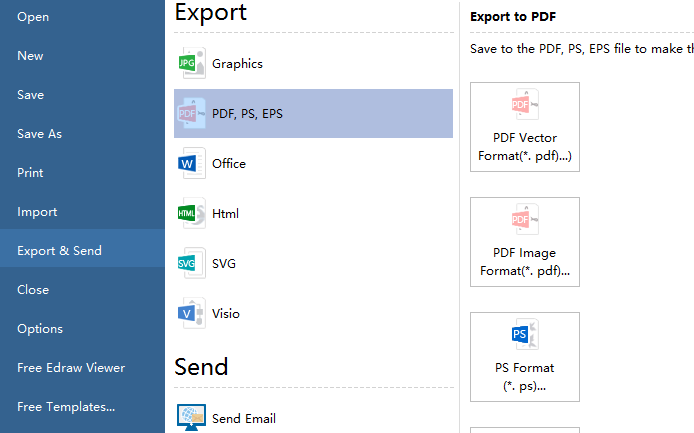 Go to File tab and choose Print or click Print button on the quick access bar, you can see the print preview in the print setup interface. If you want to see the overall effect on one sheet, click More Print Setup and choose Fit to 1 Sheet. Now, I guess you can't wait to create a genogram with Edraw genogram software. Get a free trial! 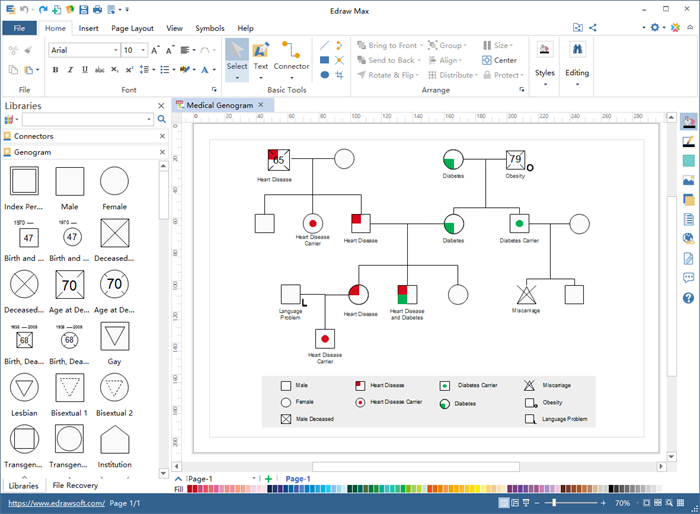 Download Edraw Genogram Maker and Use 10,000+ Elements! Want to use the elements above in your genograms? Download Edraw Genogram Maker! It includes a large variety of pre-made shapes which are easy to modify. Design a professional genogram is just a few click away. Try it now!